Our nation is rife with over-worked, sleep deprived people. This epidemic seems to have become embedded into our realities, with only one third of adults reporting they get enough sleep every night. What makes sleep deprivation so harmful is that it doesn’t simply impact one area of health, but each physical, mental, and emotional aspect of it. Our deepest hours of sleep occur during a period called slow-wave sleep. During this time, our bodies are less responsive to any sounds and movements going on around us. Not only is dreaming more common during slow-wave sleep, it’s also when the majority of mental and physical restoration takes place. When someone stays up all night, they disrupt this important period of sleep, potentially disrupting growth and cell-reparation. In addition to growth and cell repair, a lack of sleep affects metabolism. A study in the journal Annals of Internal Medicine shows that getting four hours of sleep for four nights in a row makes people’s bodies resistant to insulin, which is a common cause of weight gain and diabetes. You’ve probably experienced a craving for junk food after not getting enough sleep. This happens because sleep deprivation lowers levels of leptin and raises levels of ghrelin, increasing our cravings for carbs and sweets. When we sleep less, we also have less energy, making it difficult to exercise and burn excess calories. Many of us rely on exercise for maintaining mental stability and clarity (in addition to physical fitness), but we need sleep to build up the energy to exercise effectively. If you’ve ever gone without just one night of sleep, you’ve probably experienced emotional volatility. A study conducted by Mathew Walker at the University of California, Berkeley found that we lose control over our emotions after a bad night of sleep. 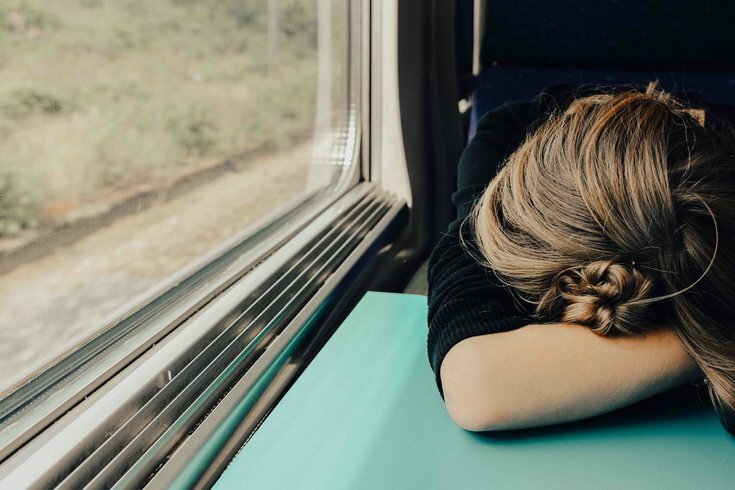 "When we're sleep deprived, it's really as if the brain is reverting to more primitive behavior, regressing in terms of the control humans normally have over their emotions," Walker explains. This can present itself as a burst of euphoria followed by a bout of depression. One of the most common and inconspicuously dangerous side effects of sleep deprivation is microsleep. Most people have experienced microsleep – involuntary head snaps, the blank stare, and loss of attention. You feel out of control of your fatigue and may not even realize you fell asleep. Microsleep is a major contributing factor to car accidents with tired drivers falling asleep at the wheel. If you regularly experience sleep deprivation, try prioritizing your sleep schedule. You can start with going to sleep and waking up at the same time every day, stopping work for the night before dinner, and keeping your room dark, cool, and quiet when it’s time to rest.